Designed for beginners, this best-selling textbook provides a thorough introduction to the study of language. It introduces the analysis of the key elements of language--sounds, words, structures and meanings, and provides a solid foundation in all of the essential topics. The third edition has been extensively revised to include new sections on important contemporary issues in language study, including language and culture, African American English, sign language, and slang. A comprehensive glossary provides useful explanations of technical terms, and each chapter contains a range of new study questions and research tasks, with suggested answers. 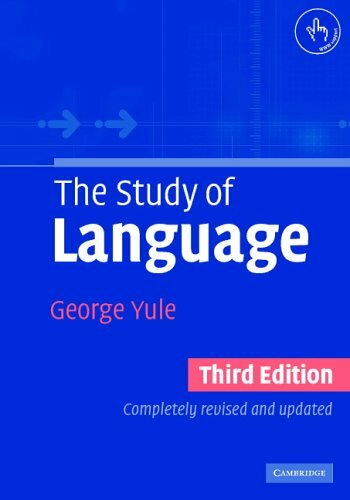 George Yule has taught Linguistics at the Universities of Edinburgh, Hawaii, Louisiana State and Minnesota. He is the author of a number of books, including Discourse Analysis (with Gillian Brown, 1983) and Pragmatics (1996).